Yep! We said that the free unlimited Internet trick Raid was still on our Telegram channel for those who thought we weren't embarking on it any more. Today we will kickstart the weekend with that of Tigo Senegal. This trick has been made strictly for Android users because we will be making use of the tunneling app called TunnelCat during the course of this post. 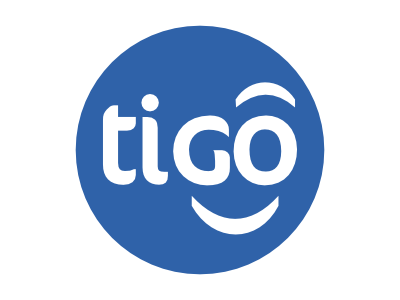 Todays trick Tigo trick is very easy to setup as it doesn't require the user to manually configure the tunneling. All that is require for the user to download the TunnelCat app (link is provided below) and then import the free configuration and connect to access free unlimited Internet. As i said before, this trick is very simple and doesn't need a small amount of data or call credit to jump start it. It is totally free. I earlier mentioned that this trick is for Android users alone..yeah, it is. However, if you want to extend your connection to other devices, you can easily tether your connection by making use of the tethering tools in the settings section of the app. 1. Click here to download the TunnelCat VPN app or here to download any tunneling app of your choice. 3. Install and then open the TunnelCat app. 6. Once you are done importing the configuration file, move to your right and click on the icon that looks like a book. 9. In less than a minute, the icon should turn to green which means the tunneling app has connected. You can then enjoy free unlimited Internet trick on your Tigo network while the trick is still. Note: This post is for EDUCATIONAL purpose only! You are responsible for your action and usage of it. Techfoe only drop such to alert ISPs of their vulnerabilities. Unlimited Free Internet tricks, TunnelCat VPN download Cellc SA, Vodacom Psiphon tricks, Etisalat free Internet download.